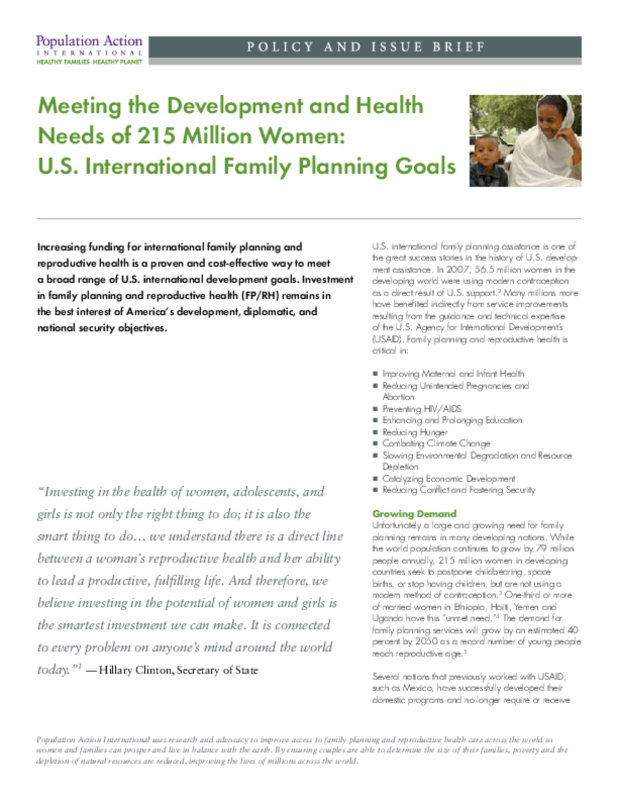 U.S. international family planning assistance is one of the great success stories in the history of U.S. development assistance. In 2007, 56.5 million women in the developing world were using modern contraception as a direct result of U.S. support. Many millions more have benefited indirectly from service improvements resulting from the guidance and technical expertise of the U.S. Agency for International Development (USAID). Unfortunately a large and growing need for family planning remains in many developing nations. While the world population continues to grow by 79 million people annually, 215 million women in developing countries seek to postpone childbearing, space births, or stop having children, but are not using a modern method of contraception. The United States can lead international efforts to meet the unmet need for family planning by appropriating $1 billion annually. The $1 billion figure is the U.S. fair share of developed country contributions necessary to address unmet need in the developing world and would also fulfill our historic commitments to the U.N. Millennium Development Goals. 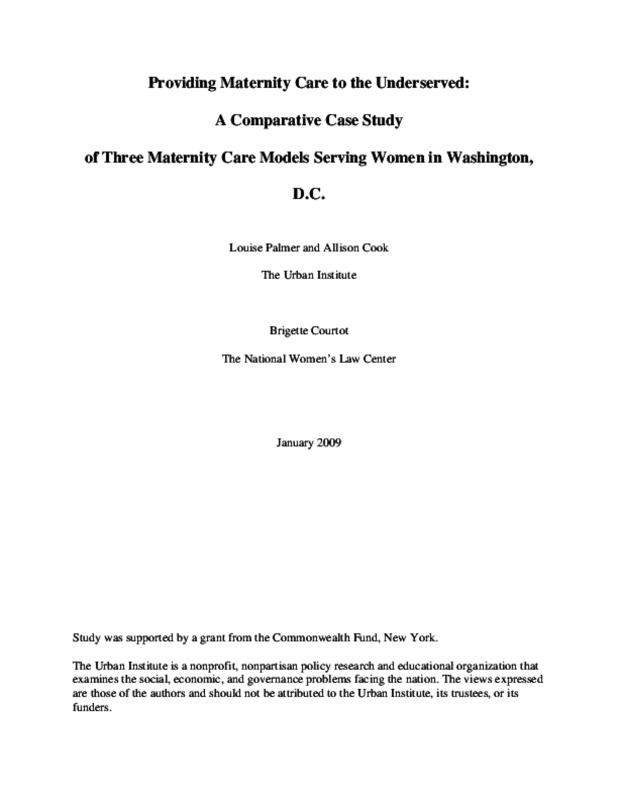 Providing Maternity Care to the Underserved: A Comparative Case Study of Three Maternity Care Models Serving Women in Washington, D.C. 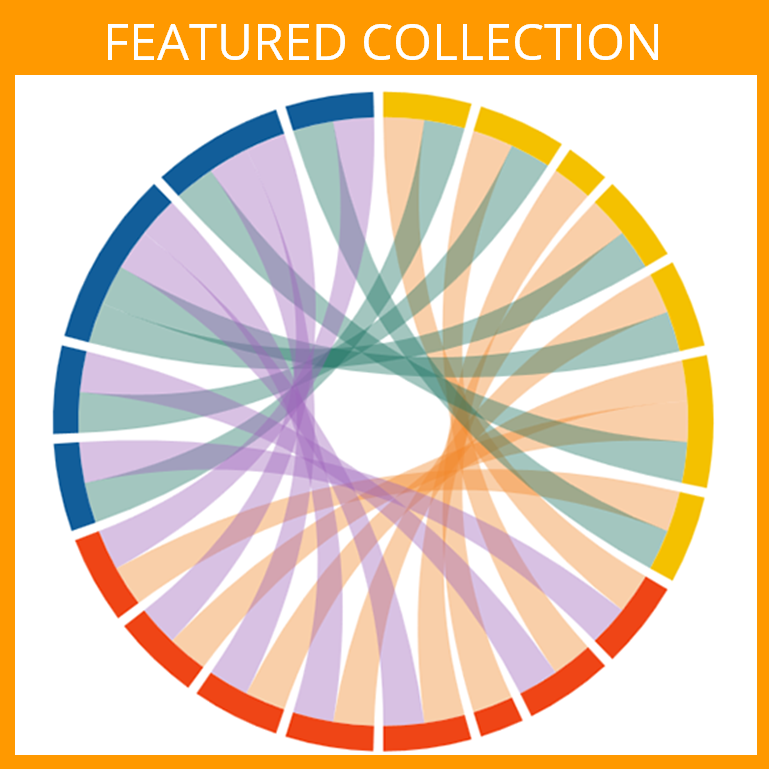 Compares the content and structure of maternity care provided at a city birth center, a safety net clinic, and a not-for-profit teaching and research hospital; populations served; providers; costs; and the women's and providers' perceptions of each model. 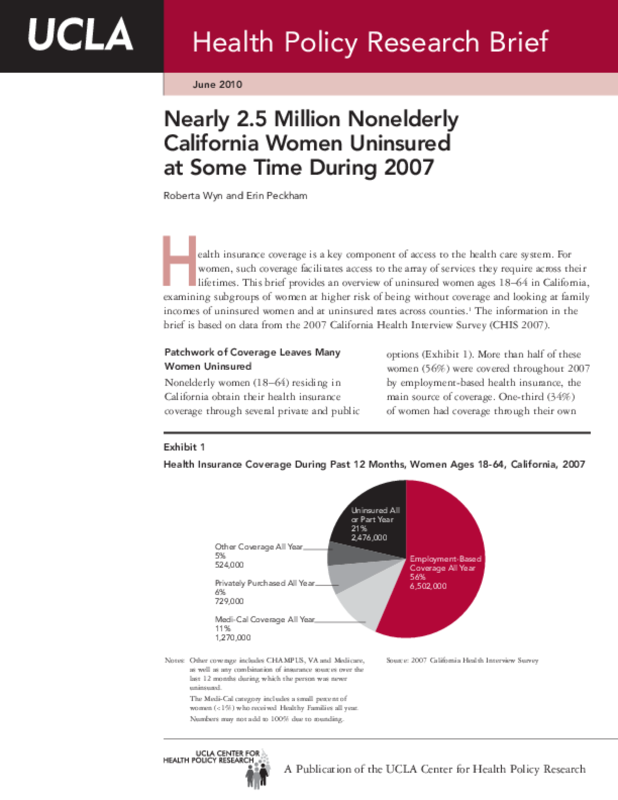 Analyzes the insurance status of women ages 18-64 in 2007 and variations by age group, race/ethnicity, family income, family structure, education, and county. Highlights how the lack of coverage compounds the financial difficulties of low-income women. 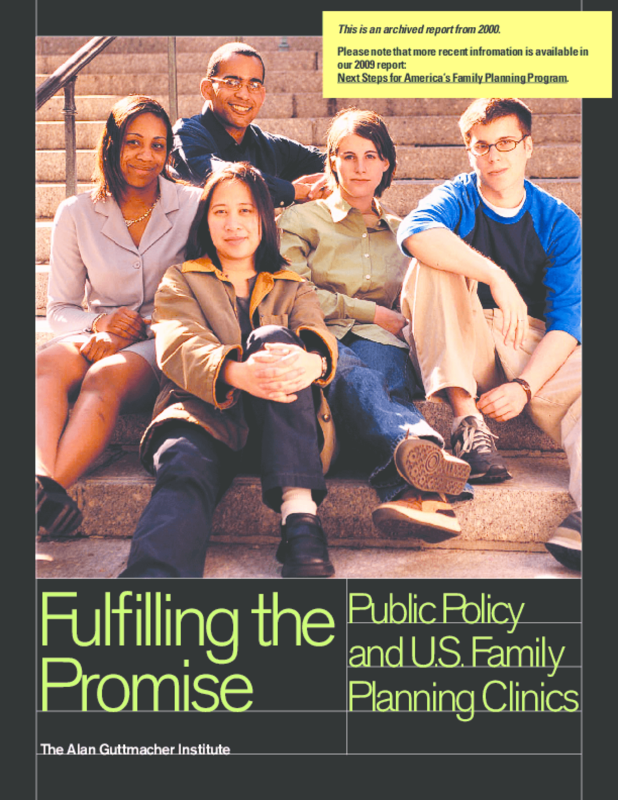 Based upon more than five years of research and analysis about publicly funded family planning services. 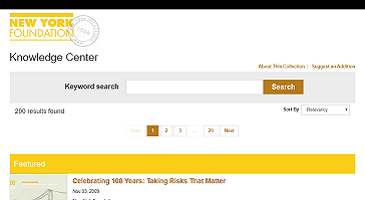 Includes information from surveys conducted among publicly funded family planning clinics, the agencies that run them, and state funding agencies. Globally the garment industry is one of the biggest employers of low-skilled women workers. Despite their large numbers in the workforce, relatively few female garment workers advance to higher-level positions as they have limited opportunities to acquire the skills that would enable their professional and personal growth. 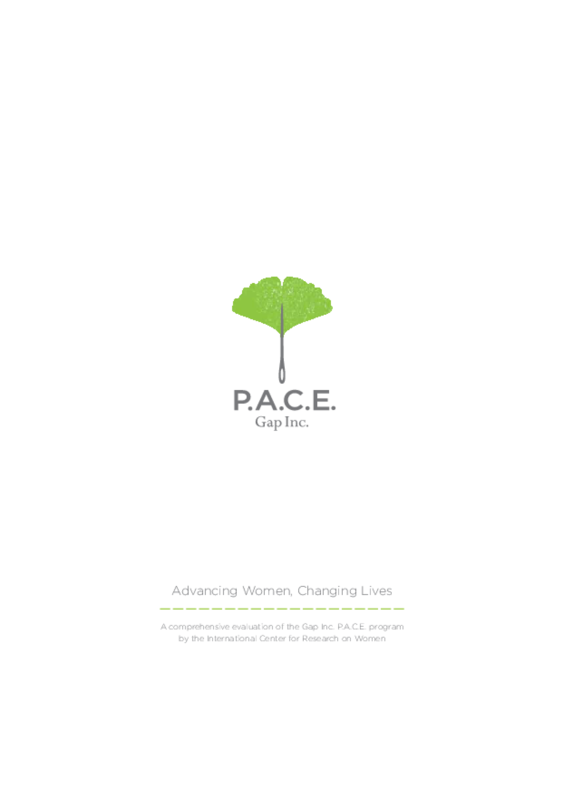 In response to this need, Gap Inc. initiated the P.A.C.E. (Personal Advancement & Career Enhancement) workplace education program to teach women the managerial, interpersonal, organizational and other practical skills needed to move forward in work and in life. 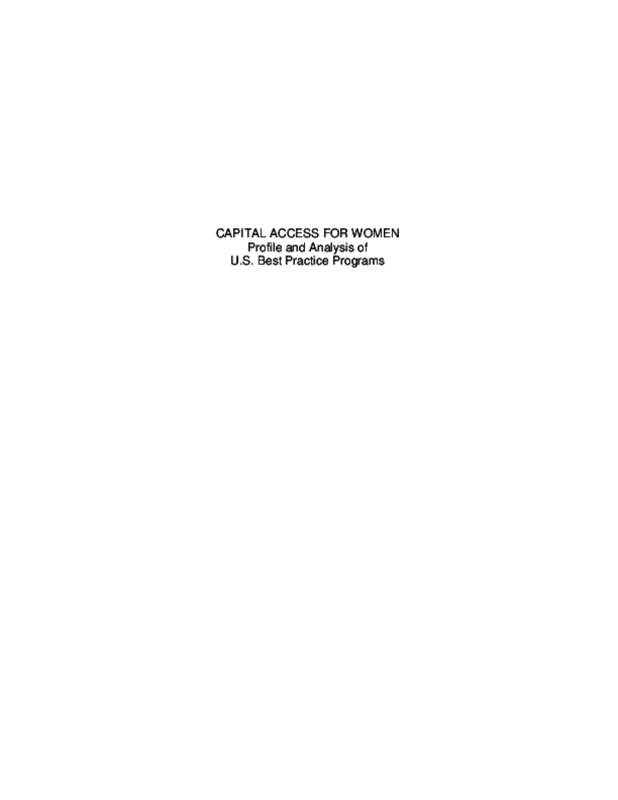 This report summarizes findings from program evaluations conducted by ICRW from 2009 - 2013 at six factory sites where P.A.C.E. 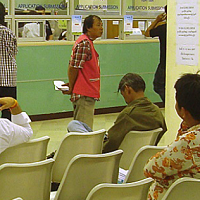 is implemented - two in India and one each in Cambodia, Vietnam, Bangladesh and China. 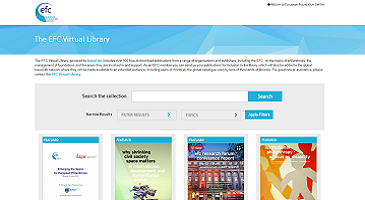 Research findings from these robust, multi-country evaluations demonstrate that P.A.C.E. 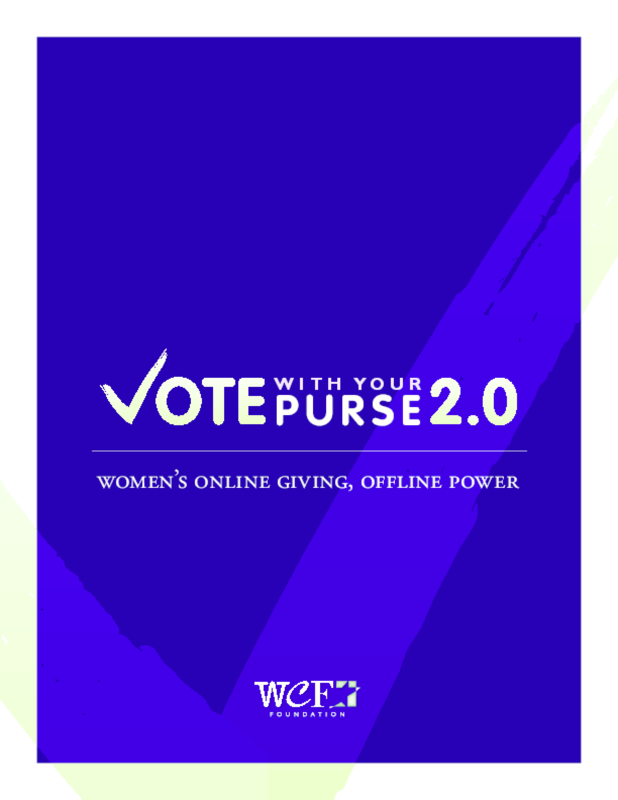 is an effective, sustainable and scalable model that yields high returns for women, their families and the businesses where they work. 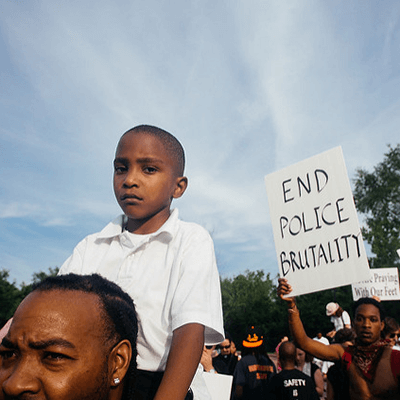 When it ratified the International Convention on the Elimination of All Forms of Racial Discrimination (ICERD), the United States committed to ensure the right to health care free from all forms of racial discrimination to all within its borders. Yet, as the U.S. prepares to report to the U.N. expert body charged with monitoring U.S. progress on implementation of these commitments, discrimination in health care remains entrenched. 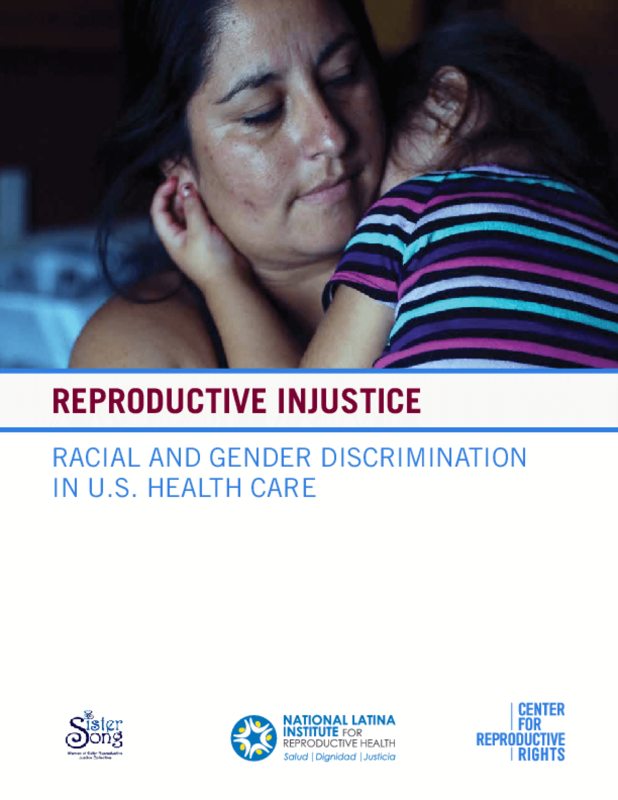 This report evaluates the U.S. record on addressing racial and gender discrimination in sexual and reproductive health care. 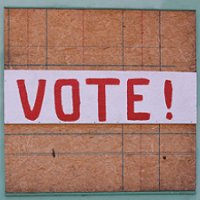 Recognizing that discrimination exists in both law and fact, we focus on the need for policy change as well as proactive measures to address the structural forms of discrimination that inhibit the ability of women of color and immigrant women to exercise their human right to health. This report contains the most recent and comprehensive statistics available -- for 2010 -- on the incidence of teenage pregnancy, birth and abortion for the United States as a whole and for individual states. At the national level, we show trends since 1972. For states, we present trends since 1988. The report concludes with a discussion of the methodology and sources used to obtain the estimates. 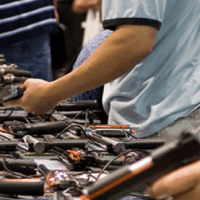 Our previously published statistics for national- and state-level estimates through 2008 were published in two separate reports. Counts of pregnancies include births, abortions, miscarriage and stillbirths. 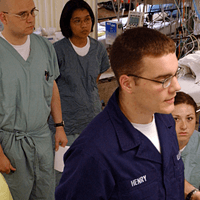 The National Center for Health Statistics (NCHS) provides annual counts of teen births in the United States, as reported in the National Vital Statistics System (via birth certificates). The estimates we present for 2010 are part of the Guttmacher Institute's ongoing surveillance of teen pregnancy in the United States. Our national- and state-level teen pregnancy report is generally updated every two years and contains the only available estimates of teen pregnancy for all 50 states using counts of abortions from the Guttmacher Institute's periodic national census of abortion providers. This census is widely recognized as the most accurate count of abortions performed annually in the United States. Through a collaborative agreement with NCHS, we also provide abortion data for the calculation of teen pregnancy rates at the national level for use in NCHS vital statistics reports. A demographic rate is defined as the number of events (in this case, pregnancies, births or abortions) divided by the number of individuals who could experience the event -- the "population." The pregnancy rate is composed of the rates of pregnancy outcomes (births, abortions and miscarriages) and is not synonymous with the birthrate. Trends in rates of births, abortions and pregnancies can move in different directions and may be affected by different social and economic factors. 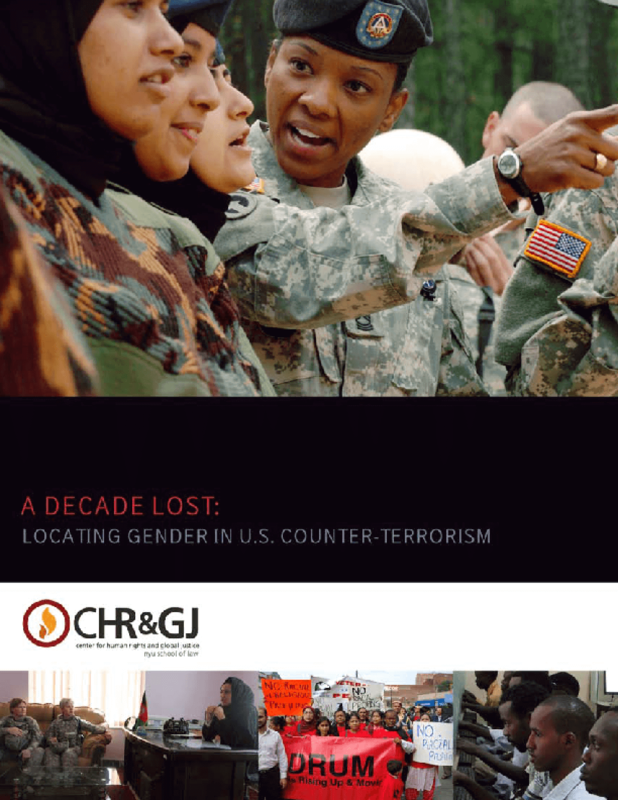 Unless otherwise indicated, in this report, the words "teenagers" and "teens" refer to women aged 15 -- 19. 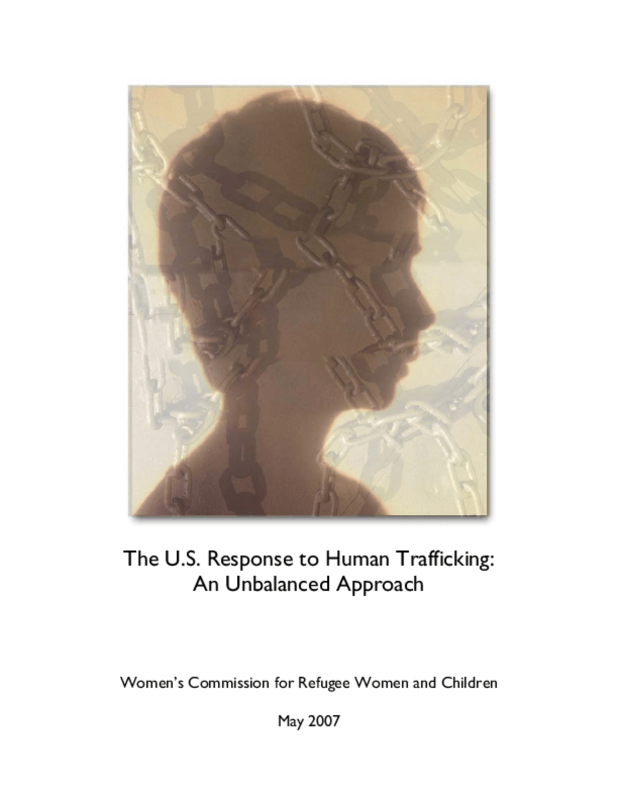 The report also includes numbers, and in some cases rates, shown separately for women aged 14 and younger, 15 -- 17-year-olds, 18 -- 19-year-olds and all women younger than 20. 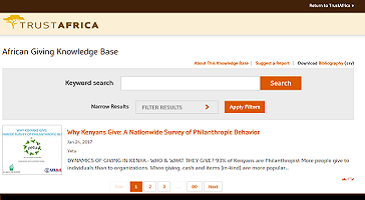 We also present statistics by race and ethnicity when the data are sufficient to provide these estimates. 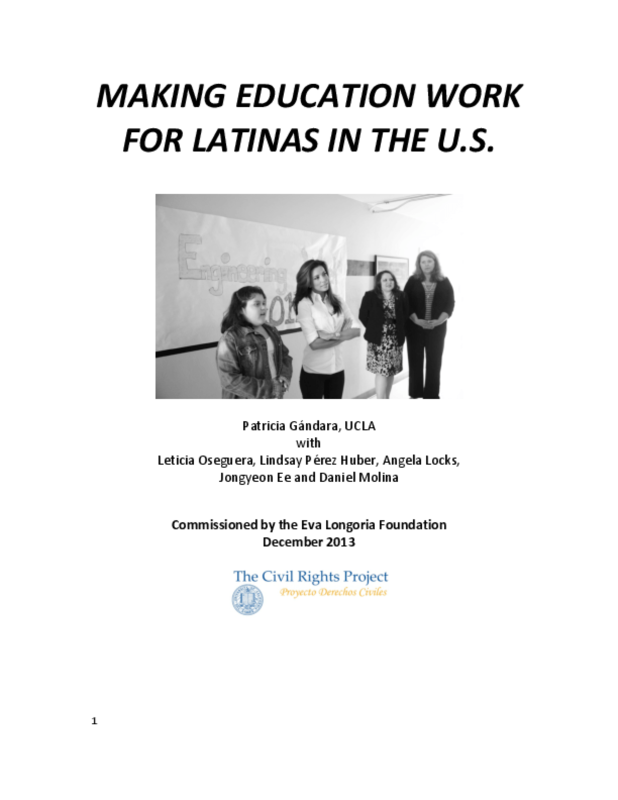 This study examines the existing knowledge base about promoting Latina educational success, defined as completing high school and then going on to secure a college degree. It also adds to existing research by examining two large data sets - one national, and one California-based for predictors of successful educational outcomes for representative samples of Latina youth who have recently been in high school and college. Finally, after identifying important predictors of success from the existing literature, and the examination of current data, the study incorporates case studies of seven young Latinas who illustrate pathways of women who are finding their way to educational success through high school, community college, and four year universities. Their stories provide a deeper understanding of the challenges that young Latinas encounter in our culture, as well as the promise they represent.